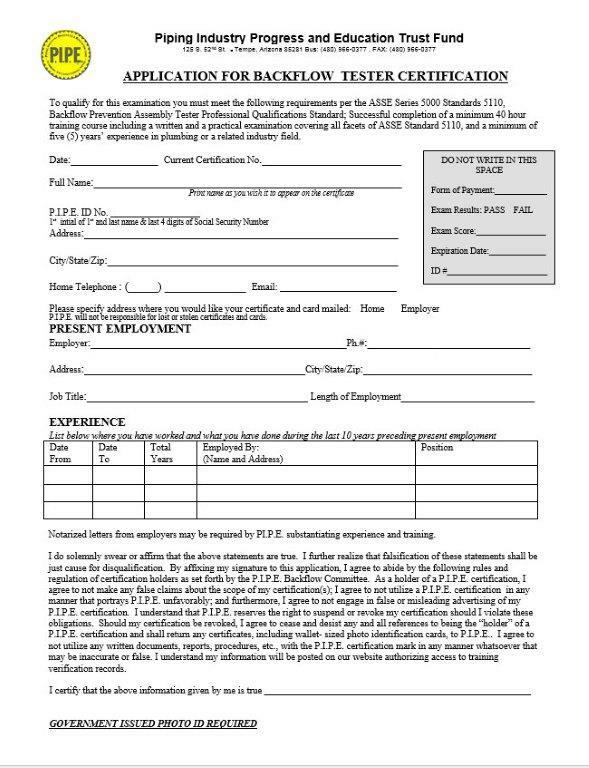 Prerequisites: Individuals need to have a City of Phoenix Journeyman License or per ASSE Series 5000 Standard #5110, a notarized letter on company letterhead stating that the individual applying for certification has at least five (5) years experience of plumbing, or a related industry field. After the applicant has successfully completed the 40 hour course, written examination, and practical examination, he/she will be issued an "Active" P.I.P.E. Backflow Tester Certification, and ID card. One must attend ALL classes to successfully pass this course.